I had more questions than answers at last Sunday’s Minnesota Crossword Puzzle Tournament, held in St. Paul’s grand Landmark Center. Yet I had enormous fun participating in this annual event, organized four times now by the Friends of the St. Paul Public Library. Last year, our first in attendance, my husband and I played unofficially as “observers.” This year, we plunked down more dollars to compete officially as “amateurs.” Our scores showed that we had made a wise choice in not deeming ourselves “experts”—though my own dismal showing is due in part to not turning in one puzzle (out of three) for the final totals. I now know how important it is to turn in even incomplete puzzles. I also have gleaned a few other kernels of wisdom. One: Practice helps. 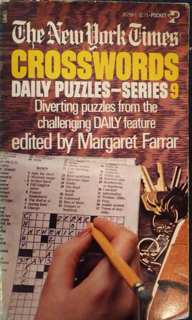 Fifteen years ago, when Cricket magazine published my history of crosswords piece “No Cross Words Allowed,” I was engaged in solving puzzles weekly. That activity tapered off, especially after the SCBWI Magazine Merit Award this article won brought book contracts for other topics my way. 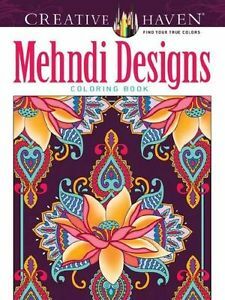 This last year, while my husband has been relaxing with crossword puzzle compilations, I have been de-stressing with intricately-drawn coloring books! Being able to visualize the differences between teal and aquamarine, peach and salmon-colored pencils did not speed my No. 2 black-leaded pen or quicken my wits on Sunday. Two: Goals and pleasures change. Years ago, I would have wanted to win or at least place in any competition. Nowadays, I am much less competitive. Being surrounded by other word-lovers, enjoying the challenge, and then discussing it with my husband as we walked out into a sun-drenched spring afternoon were enormously satisfying. And, while years ago I would have scoffed at time “wasted” on coloring books, today I derive meditative pleasure in poring over different shades and combinations, pleased too that in my mid-sixties I have the dexterity and vision to tackle finely-detailed work. I still know it is important to think outside the box, but it is also great to be able sometimes to color within the lines! Three: “Time’s up!” That announcement ended each round of Sunday’s competition after fifteen minutes, whether or not one had completed the puzzle. A good metaphor and reminder of mortality, given where my husband and I now “place” on the typical North American life span. We may not have the time to complete, see, or do all that we want to before our time runs out. That is a practical thought rather than a morbid one. 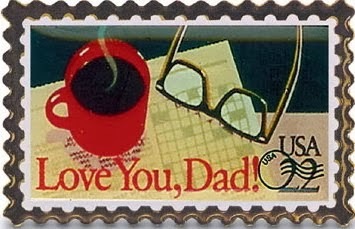 . . a call to make wise choices, to act, say, and do what we deem important without hesitation or much delay. Also, as the outcome of Sunday’s scoring shows, even incomplete efforts “count” and should not be disdained or overlooked. That realization is both comforting and dismaying, as it removes one excuse for not beginning or continuing long-term projects. So– in acknowledgement of the word play we enjoyed at this tournament (and the puzzle setters who donated their efforts to make it possible) and before I even glance towards my stacks of books waiting to be read or colored—I reproduce below “No Cross Words Allowed.” It first appeared in the May, 2000 issue of Cricket, which still uses a cartooned “Ugly Bird” to introduce each month’s featured crossword puzzle. WARNING: crossword puzzles may be dangerous to your health! Some doctors actually gave this strange medical advice in the 1920s, when crosswords became a wildly popular fad throughout the United States. Psychiatrists feared that the frustration of trying to solve these puzzles might cause mental problems and insomnia. 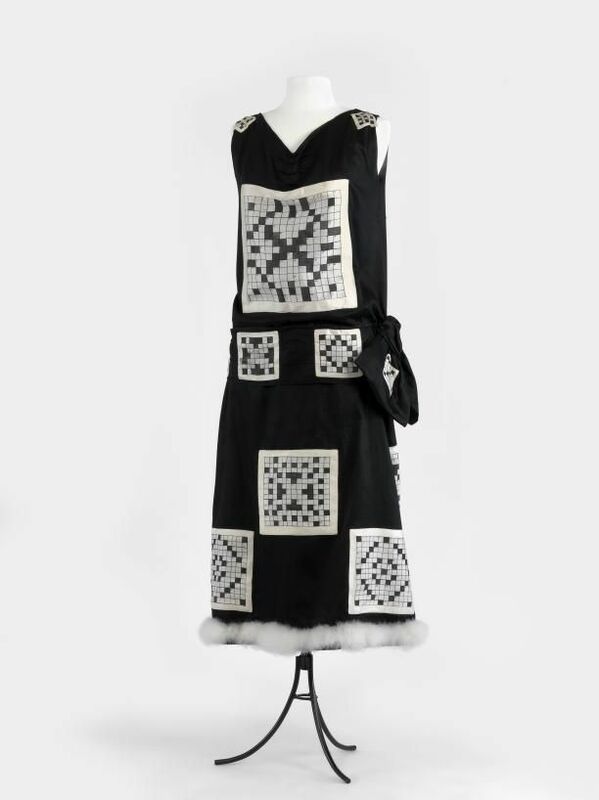 One Broadway musical in 1925 joked about this concern with a scene set in a “Crossword Puzzle Sanitorium”–a place just for people driven insane by crosswords. Optometrists also cautioned that staring at the checkered pattern and constantly looking from clue to puzzle could damage eyesight. These doctors may have been alarmed at the way crosswords were invading so many parts of everyday life. The first “Word-cross” puzzle appeared in the 21 December 1913 edition of the New York World daily newspaper. When English-born Arthur Wynne created this holiday entertainment for the Sunday “Fun” section, he had little idea of the craze he was starting. 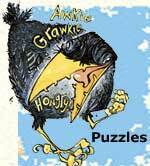 He saw his puzzle as an extension of the simple word square games played by children in the nineteenth century. Word square puzzles can be read from top to bottom and vice versa or from left to right and right to left. The “Word-cross” was also a variation on a puzzle made popular by Britain’s Queen Victoria–the acrostic. An acrostic is a poem in which the beginning or ending letters of each line form a word, name, or phrase when read from top to bottom. Word squares and acrostics have a long history: archeologists uncovered an ancient word square in Cirencester, England, and acrostic hymns and poems have been a favorite pastime for hundreds of years. It was not until the 1920s, though, that a passion for word puzzles swept through two countries. 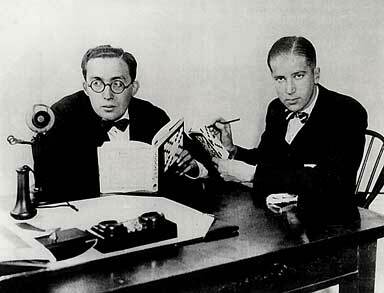 In 1924 the new publishing firm of Simon and Schuster gambled on the crossword obsession and published the first book consisting entirely of crossword puzzles. Not wanting to be embarassed if their idea failed, Simon and Schuster used an alias–the Plaza Publishing Company–on the book’s copyright page. As an advertising gimmick they even convinced the Venus Pencil Company to supply a free pencil with each copy. Simon and Schuster need not have worried about their reputation or sales. 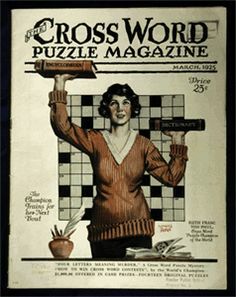 The Cross Word Puzzle Book began a series of record-breaking bestsellers, with more than 400,000 copies sold in the United States just in 1924 and 1925. These years also saw the start of organized crossword competitions, with college fans at Harvard challenging puzzlers at Yale, and the New York City police squaring off against the fire department. The editor of The [London] Times wrote pityingly in December 1924 that “AN ENSLAVED AMERICA” was losing millions of working hours daily to the crossword craze. Little did he know that in a few months Britain would begin its own love affair with crosswords. In 1925 both Queen Mary and British Prime Minister Stanley Baldwin announced that they were loyal fans of the checkered word puzzles that had begun to appear in their country’s newspapers. This admission led more papers to include crosswords as a regular feature, and by the end of the year Britain had its own mail-in crossword competitions that thousands of readers were entering. Contestants competed for cash prizes not only by trying to complete puzzles correctly but by reaching their solutions in the least amount of time. This was quite a challenge since British crosswords were usually much trickier than American ones. While American crosswords used straightforward definitions as clues, British clues were often written as riddles, puns, or allusions. Sometimes these “cryptic” clues even hid their meanings in plain sight. For instance, the four-letter answer to “An important city in Czechoslovakia” could not be found on any map of that country. Readers had to figure out this solution by examining the word Czechoslovakia itself, where–if they knew their geography–they would discover Oslo, the capitol of Norway! The most successful creators of these complicated puzzles were Edward Powys Mathers, who wrote under the pen name Torquemada, and Derrick Somerset Macnutt, who created puzzles under the name Ximenes. Both pen names playfully suggested the mental “torture” they inflicted on their devoted public; the original Torquemada and Ximenes were officials in charge of torture during the Spanish Inquisition. 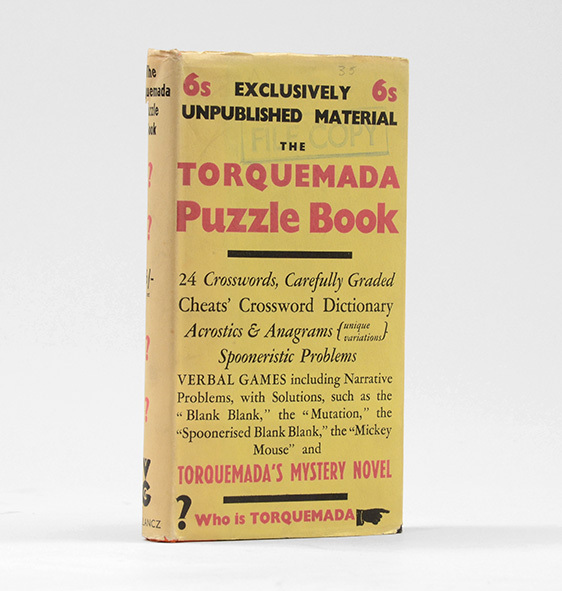 Crossword fans made wild guesses about the true identities of Torquemada and Ximenes, but not knowing their real names did not prevent puzzle addicts around the word from corresponding with their idols. At his publisher’s address, E.P. Mathers even received pieces of wedding cake mailed by couples whose shared passion for Torquemada’s crosswords led to marriage. Derrick Macnutt was persuaded to reveal himself when fans planned celebrations in honor of Ximenes’ 100th, 250th, and 500th puzzles. The Ximeneans (as these puzzleholics termed themselves) all came wearing a Ximenes tie–black with small white Xs! Some doctors may have voiced improbable concerns at the beginning of the crossword craze, but in the 1930s and ’40s crosswords became dangerous for political, rather than medical, reasons. Anti-Nazi Germans in the 1930s used these puzzles to communicate with each other secretly. Their solutions would spell out meeting places, times, and other plans. During World War II, American censors would not permit crosswords to be sent to soldiers overseas in case their solutions contained classified military information. Overworked censors did not have the time to solve these puzzles themselves! British officials similarly prohibited crosswords from being mailed to their dominion countries. And, after the liberation of Paris by Allied troops, crosswords were banned from French newspapers to prevent Nazi sympathizers from using these puzzles to reorganize. 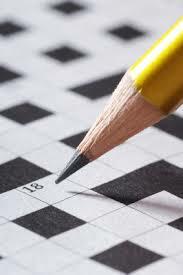 Today few people have cross words for crosswords. Everyone–even an Ugly Bird–can enjoy their challenge in a magazine or newspaper. 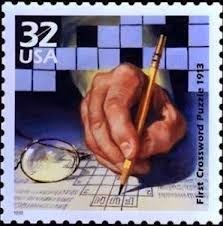 In addition, a variety of contests, such as the annual American Crossword Puzzle Tournament, offer fans the chance to try out their puzzle-solving skills while competing for prizes. So sharpen those pencils and dive into a crossword (or a crossbird) puzzle!